Business travel can be tedious, that much goes without saying. It is a far more complicated task packing for a business trip than it is for pleasure. After all, it is very important to arrive at your destination calm and with your clothing wrinkle free because who has time to arrive at your hotel from the airport and then start pressing your business attire before that all important meeting begins? We have taken the drama out of finding the best carry on luggage for suits by looking through the best options available and narrowing the list down to just five. The critical thing with carry on luggage for suits is not only that the luggage has space for your business suit, but also that it allows room for all the extras you need, shoes, toiletries, accessories, your laptop, note-pad and pens too. In addition, finding space for your travel documents when you are only allowed a single piece of hand luggage can be a real pain. The carry on luggage reviewed here covers all those bases, and more. 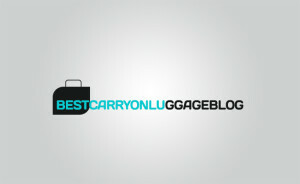 Read on and discover some of the best carry on luggage for suits available. Hanging space is always good if you are in a hurry and want to arrive at your destination with your suit in pristine, wrinkle free condition. This Tumi Alpha Carry On offers a generous amount of packing space and can be hung easily on the plane in their coat closet. This functional bag also features plenty of pockets for additional items such as travel toiletries, shoes, shirts etc. The manufacturer claims the bag will hold a week’s worth of hanging items. It receives good reviews in terms of durability and space although for some, the price is a little high. However if the bag indeed lasts for several years as claimed, the price per use will be very low. If you like to stand out from the crowd when you travel, this piece of carry on in teal will do just that. Available in three colors, black, grey, and teal, this ideal carry on for suits has a roomy central enclosure and due to its rigid construction, your clothing will arrive in tip-top shape when you land. There’s a front pocket which can hold a tablet or iPad as well as your travel document which will keep everything handy from your passage through security. The carry on also has wheels which saves you having to carry it and an extendable handle which telescopes away when not in use. The bag is small enough to fit airline guidelines and also to fit under the seat in front of you if there’s no room in the overhead bin. It seems as though there might be a few of these cases where the build quality isn’t great with reports of handles and straps breaking but overall and so long as you get a case which wasn’t made on a Friday afternoon, the Travelon Wheeled Underseat Carry-On is a great buy. Sometimes functionality wins out over style and this piece of carry on luggage for suits is a perfect example of that. Despite coming in four colorways and having an interior of the brightest orange, the boxy shape of this carry on makes it look, well, not so pretty. However, the construction is solid and lightweight and it’s sure to pass muster even in the eyes of the strictest check-in clerk. It has plenty of external pockets which will allow you to store liquids separately as well as areas which will hold travel documents and items which you may need easy access to in-flight. The internal area is large enough to allow your suit space so it won’t crease. The wheels and telescopic handle as handy additions for ease of moving it around and cleverly built wings allow the carry on luggage to be folded small for storage purposes. It receives consistently high reviews but this reviewer feels they styling isn’t as up-to-date as it could be. Where good looks are concerned, this carry on luggage for suits has it! Beautifully styled and available in the most gorgeous shade which the manufacturer calls ‘wine’ this carry on is sure to make a statement. It is constructed with a Nylon outer which is great for toughness it features plenty of storage space including a clever foam covered bar which claims to keep garments wrinkle free during travel. Several interior and exterior pockets are included which makes it simple to separate shoes and accessories on the inside and, on the outside to keep travel documents and all the things required to provide entertainment during the flight, close to hand. The dimensions are good, just 21 inches high and 15 inches high but the overall weight, 11 lbs, could mean that picking it up to carry when fully loaded may be a challenge. This high-end piece of carry on luggage will certainly hold it’s own in the overhead bin for the duration of your flight. Available in two colors, black or olive, this is one of the most durable and best looking pieces of carry on luggage for your suits. It’s bound to stand up well to the wear and tear of frequent travel and still look fantastic. It has those all important wheels and an extendable handle to make moving it around a breeze and the dimensions are just 14″x21″ and it weighs a respectable 13 lbs, not bad for a solid case that will ensure your suit stays crease free on your journey. Reviewers claim this carry on luggage for suits can hold up to 5 days worth of clothes, and is top quality. But don’t take their word for it, why not give it a try yourself? And there you have it, our five top picks for the best carry on luggage for suits on the market right now. What are you waiting for? Hop online, take a look and let us know what you think.